Born in Dublin, he was educated at the Royal Dublin Society Schools, 1833, and was admitted to the RA Schools in 1835. He exhibited there from 1839, and in 1844 received the first of many commissions for statues of historical and contemporary political figures, including John Hampden, Palace of Westminster (1844), and the equestrian monument to Viscount Hardinge, Calcutta (1858). His most famous work is the seated figure of the Prince Consort in the Albert Memorial, London, for which he also did the representative group Asia. 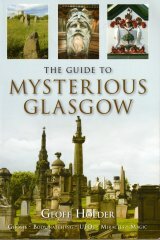 Amongst his work in Scotland is the statue of Lord Clyde in Glasgow's George Square (1867-8). As well as his public work, Foley executed numerous portrait busts of society figures and monuments in churches throughout Britain, Ireland and India. He was also responsible for designing the Great Seal of the Confederate States of America and the Stonewall Jackson Monument, Virginia (1874). He was elected ARA , 1849, and RA , 1858.